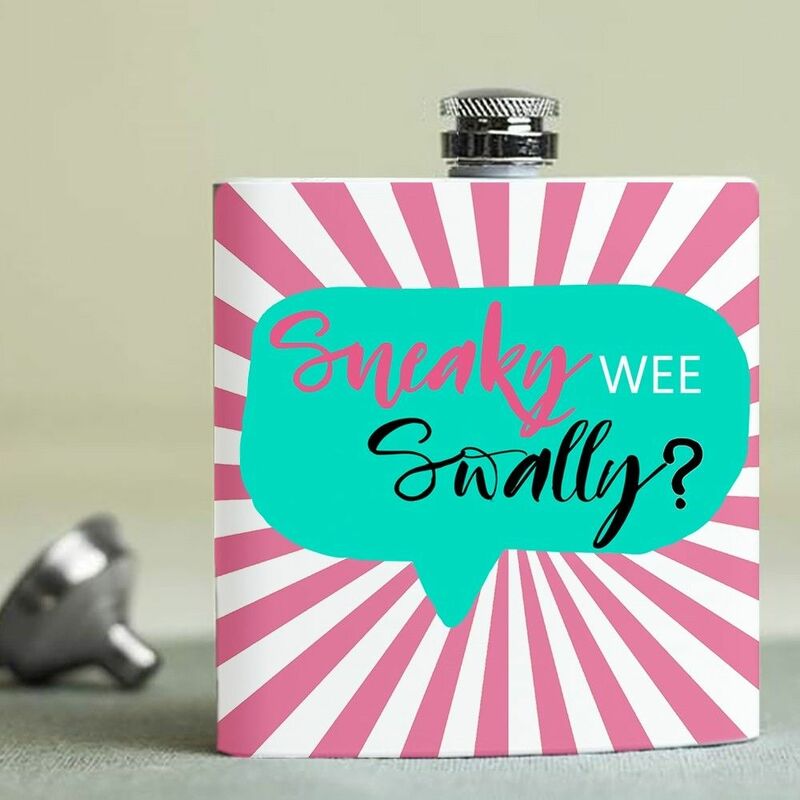 Jock - Hip Flask - Sneaky wee swally? "Sneaky wee swally?" in the centre in a speech bubble design. We wont say no to that! A great gift for various occasions, such as birthdays, hen/stag nights etc.